High quality rubber stamps for practicing alphabet and number sequence, spelling, math, playing store, sign making and more. Great for hard-to-motivate children, special education, and ESL students. Each set comes in a sturdy, reusable, clear plastic case. Numbers have math symbols, letters include punctuation marks. 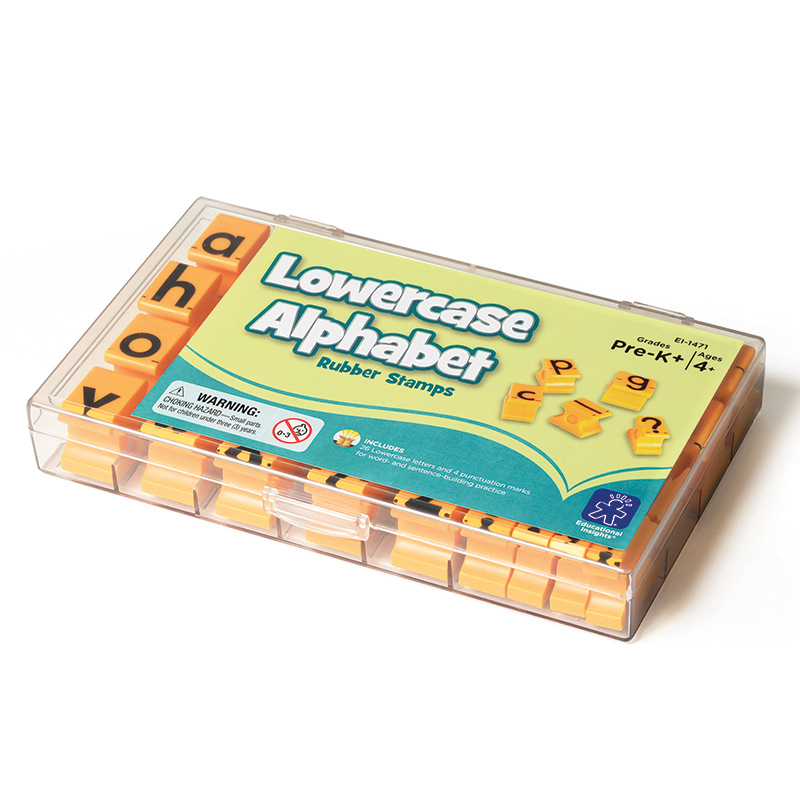 Set of all 3 includes Uppercase Letters, Lowercase Letters, and Numbers. 5/8 inch.